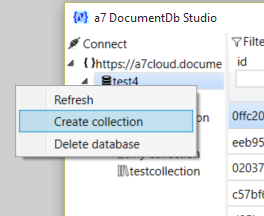 A7 DocumentDb Studio is a tool to make it easier to explore the databases in the Azure NoSQL DocumentDb database. It allows filtering data based on a UI-based generator, and to edit SQL by hand. The user interface of this tool is minimalistic and focued on data. 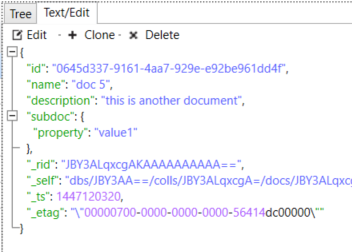 We can preview document in form of a tree, with fast access to basic operations on properties. 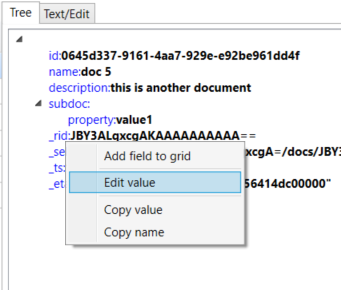 As well in text mode, with proper formatting and the posibility to edit whole documents and perform operations on them. The collections documents are displayed in a sql'esque grid, were we can select which properties should be displayed as columns. And by the values in those columns, we can fastly apply filters. 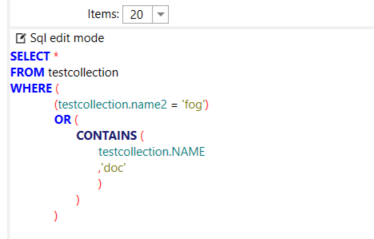 It's possible to create/remove databases as well as collections. 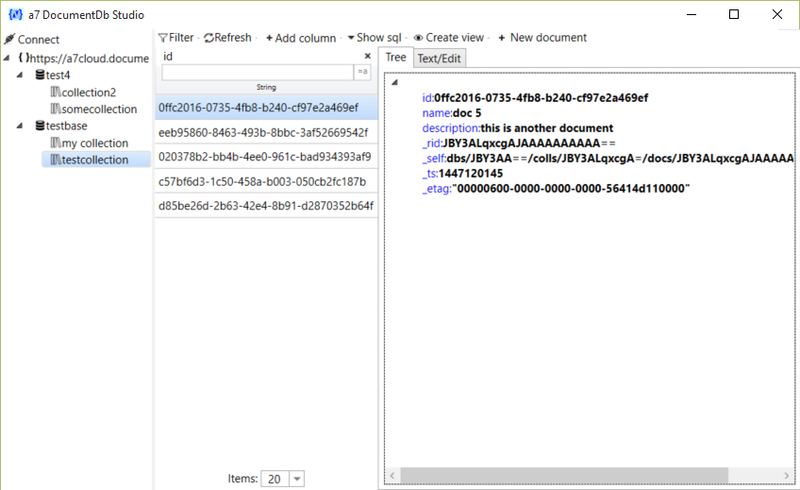 The generated SQL based on filter wizard and column wizard can be previews, as well as edited. The edited sql or set up filters, as well as the configured columns can be stored as locally saved views, to fastly access previous settings. Contact me through my github page.